4 weeks down, 12 weeks to go! I originally planned this week to be a down week—as in I was building on my mileage for the first 3 weeks then I drop back for an easier week before I start another building block—but mid-week I kind of changed my mind. Next Saturday is our annual day of staff training, inservice presentations and team building activities leaving Friday as my long run day. 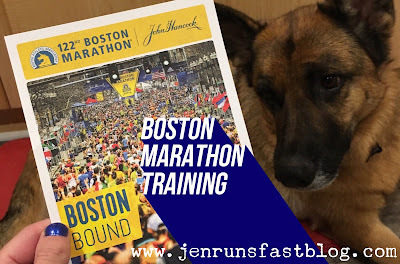 I get nervous when I have limited options so I ended up running a little longer this week so I have the opportunity to back off next week instead. Monday I opted indoors to avoid the icy roads and ran on the treadmill. 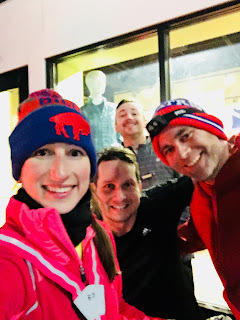 I sent a message out to my running friends on Tuesday morning and committed early to Tuesday night run club. I’m glad I did because I almost backed out. We all need a little boost sometimes. I was not in the mood to run on Wednesday so I went right into lifting. Craig showed up at 4 and we got it done. I felt a little guilty when I got home so I grabbed Georgie and we did a few loops around the block in the dark. Night running with her is so fun. She is so focused! An ideal weekend running schedule for me would be an easy run Friday morning, gym Friday night then a long run on Saturday. I work Sundays so that is my day off—even though I teach spin and swim. I have found that when I run long on Friday, I feel awful on Saturday. Tired legs, unmotivated to workout and extra lazy. This weekend worked out as planned and the weather actually cooperated. I ran Friday morning with G then finished up with another 4 miles on my own. That night I went to the gym and crushed my workout. I even did a pull up! My first pull up! I was so proud. I had been working on eccentric pull ups—jumping up and slowly lowering—but randomly decided to give it a try without the jump. I was standing on the platform so the next progression would be to pull myself up from a hang. Progress! Even though it was super windy, Saturday turned out to be a great day for a long run. The sun was shining. It was about 40 degrees. I slept in, drank some coffee and I was ready to go! I got out the door around 10:30am and headed toward Cotuit. I think I mentioned a few weeks ago how much I enjoyed running there. People were so friendly—and on this run I passed so many runners and walkers. I even met up with two Cotuit firefighters at one of my beach rest spots. They just happened to be working that day and spotted me while driving around town. 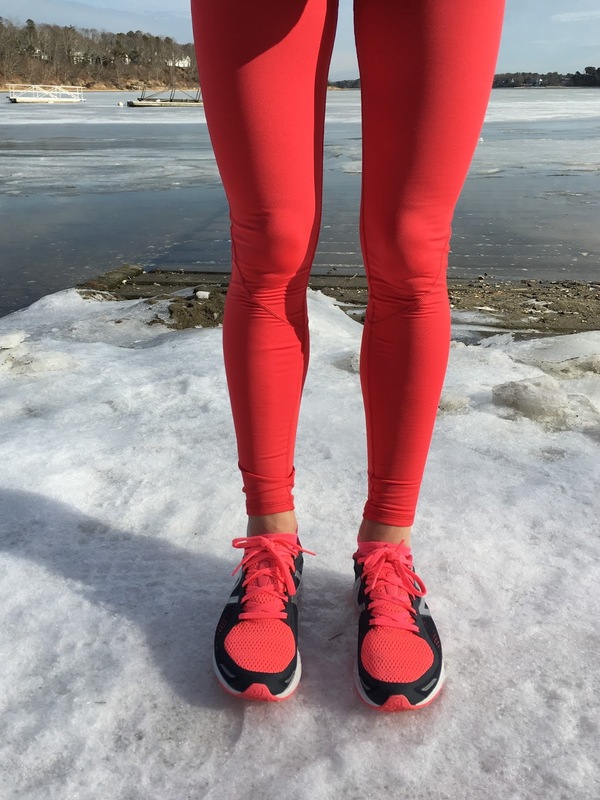 Overall my long run felt great. I continue to run based on feel and I rarely look at my watch while I’m running. It’s so great to not worry about pace and it’s just what I need mentally to get me to Boston. You never know, I might just surprise myself when I get to that start line in Hopkinton. When nothing is certain, anything is possible. · Last week I asked my Instagram followers what I should do with my hair because I was having a hard time deciding. Even though 61 percent said to “chop it off,” I ended up only getting a trim. I was talking to one of my spin and swimmers on Thursday night and he told me the story of Samson and how he lost his strength when his hair was cut. So with that in mind, I decided I will let my hair grow—hopefully long enough so I can it donate after Boston! 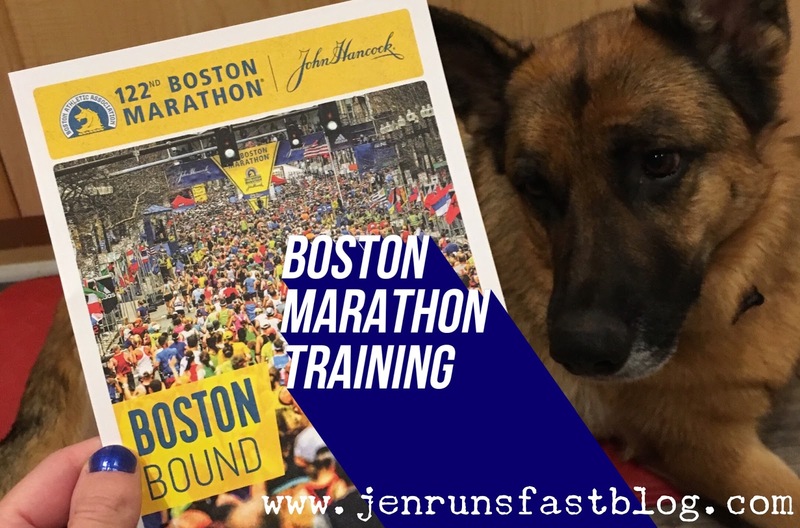 · 12 weeks until the Boston Marathon!